This plugin provides 2Checkout Inline integration for RD-Subscriptions - a subscription extension for Joomla. 2Checkout is a payment service that provides global payments over 200 markets and let you to maximise online sales. Note: 2Checkout payment platform offer several checkout experience to receive funds: Standard, Payment API and Inline. This plugin operates as 2Checkout Inline. 2Checkout Inline for RD-Subscriptions can be installed as typical Joomla extension. Make sure you have downloaded the latest version of the plugin. Go to Administrator panel > Extensions > Manage > Install and select the package downloaded from NorrNext site. There are several tabs with settings. Lets look on each tab. Currency - Set your checkout currency. Available currencies: AFN, ALL, DZD, ARS, AUD, AZN, BSD, BDT, BBD, BZD, BMD, BOB, BWP, BRL, GBP, BND, BGN, CAD, CLP, CNY, COP, CRC, HRK, CZK, DKK, DOP, XCD, EGP, EUR, FJD, GTQ, HKD, HNL, HUF, INR, IDR, ILS, JMD, JPY, KZT, KES, LAK, MMK, LBP, LRD, MOP, MYR, MVR, MRO, MUR, MXN, MAD, NPR, TWD, NZD, NIO, NOK, PKR, PGK, PEN, PHP, PLN, QAR, RON, RUB, WST, SAR, SCR, SGD, SBD, ZAR, KRW, LKR, SEK, CHF, SYP, THB, TOP, TTD, TRY, UAH, AED, USD, VUV, VND, XOF, YER. Sandbox - When running in the sandbox mode you need to enter your private and publishable key for the sanbox account. You can now simulate payments like real payments. 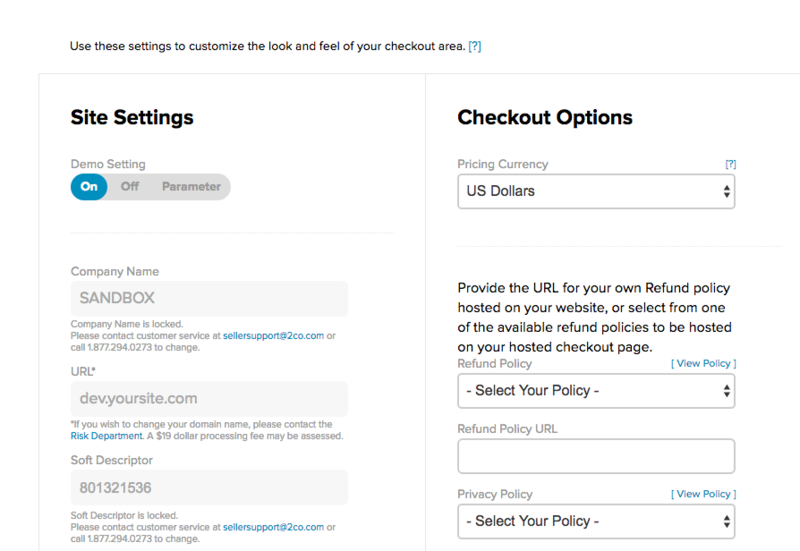 Refunds - Turn this option on to initiate refunds from the backend of your website. Verify SSL - During testing you might want to turn off the verification of SSL, it is advised to turn it on on live environments. Here are API Credentials for Live Environments. Seller ID - Enter the seller ID from the 2Checkout, this is being used to initiate payments. 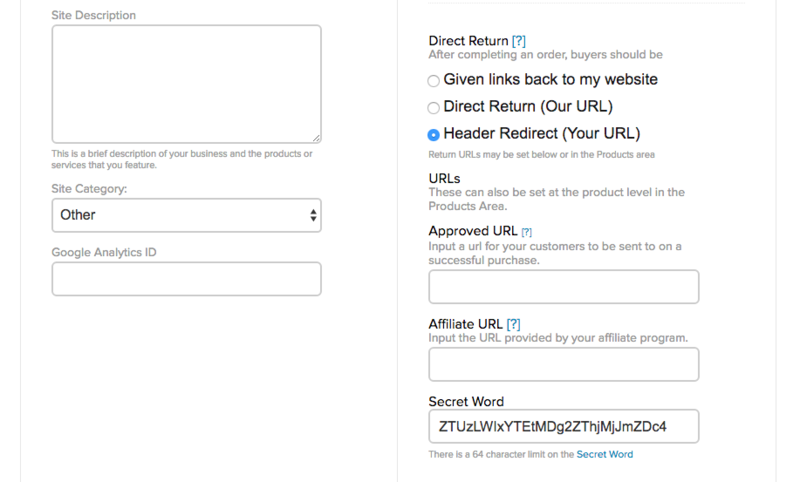 Secret Word - You can find your Secret Word on the Site Management tab of 2Checkout Dashboard. API Username - The API password is being used to initiate refunds from the backend. API Password - The API password is being used to initiate refunds from the backend. Publishable Key - You can find your Publishable Key in the dashboard of 2Checkout API. Private Key - You can find your Private Key in the dashboard of 2Checkout API. Here are API Credentials for Sandbox Environments. API Username - The API username is being used to initiate refunds from the backend. It’s Custom note field that will be displayed at checkout page. HTML tags are allowed. Also you can add custom macros (RokCandy or similar extension). Custom Note - You may use the custom note for showing customers a notice at the checkout, before entering the credit card details. You can style the text by adding a class to your CSS file 'custom-note-2checkout' which can be styled the way you like. This feature allow to get an update of the plugin via back-end in few clicks. Set your download key to enable the update using Joomla! Update System. You can find the key in your 2Checkout Inline for RD-Subscriptions subscription on the NorrNext website. URL: required parameter. You are able to enter URL one time, so be careful. Save the changes. Now it’s time to go to API menu item to generate Publishable Key and Private Key which are using by 2Checkout to provide refunds. So, just generate and take Publishable & Private Keys to paste to 2Checkout Inline plugin settings. Does 2Checkout support payment via PayPal? Yes, if customer has the same e-mail account in PayPal and at your site, a special PayPal button will be appeared during checkout. Can I use 2Checkout standard mode? No. This plugin operates with Inline mode only. What does ERROR CODE:PE101 means? In rarely cases some users can get such error which means that the bank of 2Checkout has refused the payment. In such case it’s better to repeat the payment after some time or use the card issued by another bank.